Nashville, TN – For the first 35 minutes of Austin Peay Governor’s opening-round matchup against the Jacksonville State Gamecocks Wednesday night, TyShwan Edmondson and the Govs could do no wrong. Unfortunately for the Govs, the Gamecocks played better over the game’s final five minutes, erasing a six-point deficit as Brian Williams buried a go-ahead 3-pointer with 33 seconds left and handed the Govs in a 75-70 loss in front of a stunned Municipal Auditorium crowd. 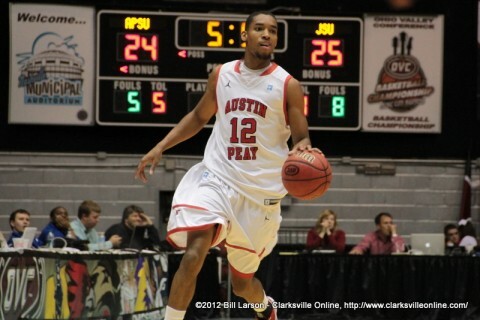 APSU Senior TyShawn Edmondson drives up the court in the OVC Tournament first round game vs Jacksonville State. Edmonson lead all scorers with a total of 22 points. 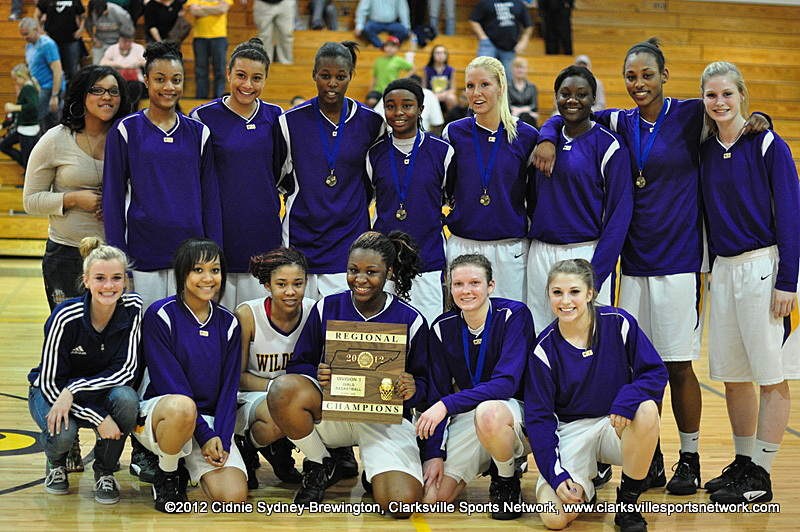 Clarksville, TN – The ultimate mission for Clarksville High School Girls Basketball is still the same: Win the Class AAA State Championship. 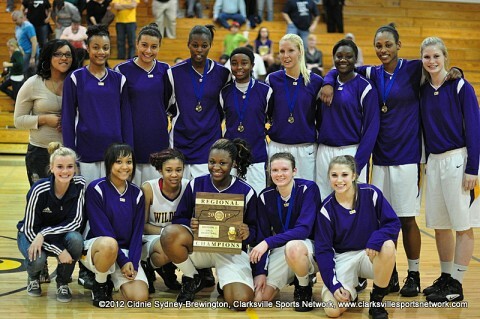 That goal was to play one more game at home in the William Workman Gym and Clarksville High will do that Saturday at 7:00pm when they host Sectionals against Brentwood, the Region 6-AAA runner up. 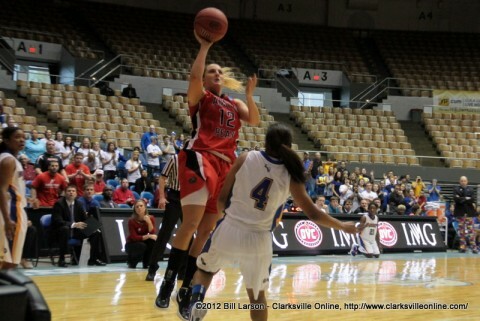 The Clarksville High Lady Wildcats trumped Mt. Juliet High School 63-46 for the District 5-AAA Championship Title. Golden Pond, KY – Beginning Thursday, March 1st, Land Between The Lakes (LBL) National Recreation Area will temporarily open the Fenton Camping Area and Boat Ramp and US68/KY80 west of the Woodlands Trace National Scenic Byway. Clarksville, TN – Are you interested in being a vendor in this year’s Downtown Market season? Since its opening three years ago, the Clarksville Downtown Market has been a success- so much so that it was voted the number one market in Tennessee, two years in a row, through America’s Farmland Trust. Nashville, TN – Throughout 29 regular-season games, the Austin Peay Lady Govs had looked to Whitney Hanley to lead them down the stretch. Wednesday’s OVC Women’s Basketball Championship opener against Morehead State proved to be no exception as the Lady Govs rallied from 15 points down in the final nine minutes of regulation to defeat the Eagles 84-83 in double overtime at Municipal Auditorium. The Tennessee State Fairgrounds is the location for this annual celebration of all things green & growing featuring gardens, free lectures, exhibits and more! 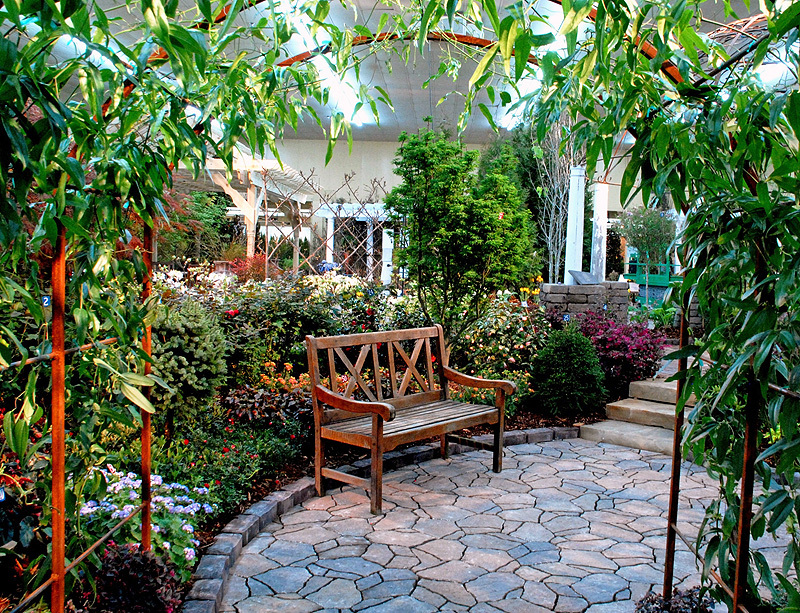 Nashville, TN – The 23rd Annual Nashville Lawn & Garden Show will return to the Tennessee State Fairgrounds on Thursday, March 1st, through Sunday, March 4th, ready to welcome thousands of people to Tennessee’s largest annual gardening event. Gardens Past, Present & Future is the theme for the 4-day show that is a “must-go” event for anyone who loves spring flowers and plants, can’t wait to plant a vegetable garden, wants some gardening tips and landscaping ideas, or enjoys shopping for outdoor décor and garden gadgets. Garden scene from the Nashville Lawn & Garden Show. Clarksville, TN – If you have ever been in a relationship, are currently in a relationship, or simply wishing to enter the dating scene, then “I Love You, You’re Perfect, Now Change” is the musical for you. It explores the truths and myths behind dating and relationships with a hysterical musical spin. I was laughing constantly during the performance and sometimes so hard I had to wipe tears from my eyes as I related to the situation the actors were portraying. I found myself constantly thinking, “Yeah been there” or “Done that”. Clarksville, TN – Clarksville Gas and Water will close Richardson Street from Paradise Hill Road to Crossland Avenue on Thursday morning at 9:00am. Construction crews will be performing water main maintenance at the intersection of Richardson and Woodard streets until approximately 1:00pm. Traffic will be detoured to Crossland Avenue and Paradise Hill Road. 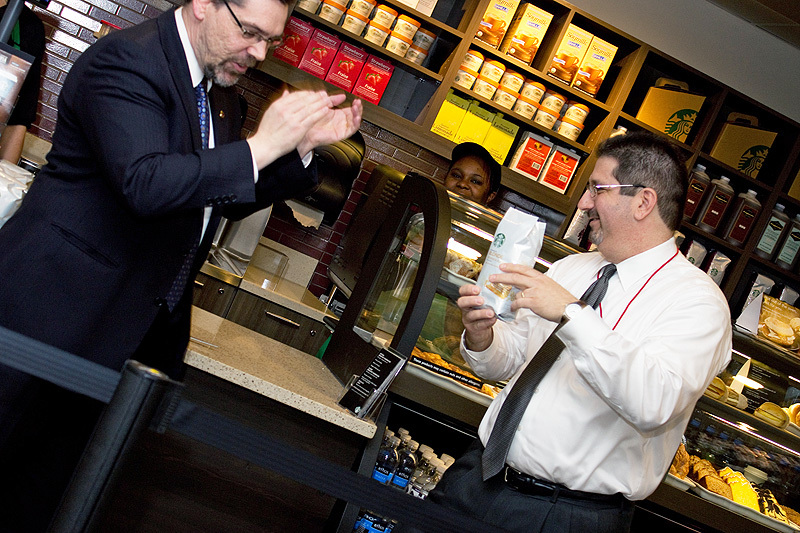 Clarksville, TN – Justin Hasty, a chemical engineering technology major at Austin Peay State University, gets to campus early most mornings in desperate need of a cup of coffee. He shuffles over to the Woodward Library, instead of the Einstein’s Bros. Bagel shop in the Morgan University Center, yawns and then gets to work studying.